Finally, Tea-sensei gets a name... and a promised bride. Thanks for the monthly release. Such a heart warming chapter, as always. 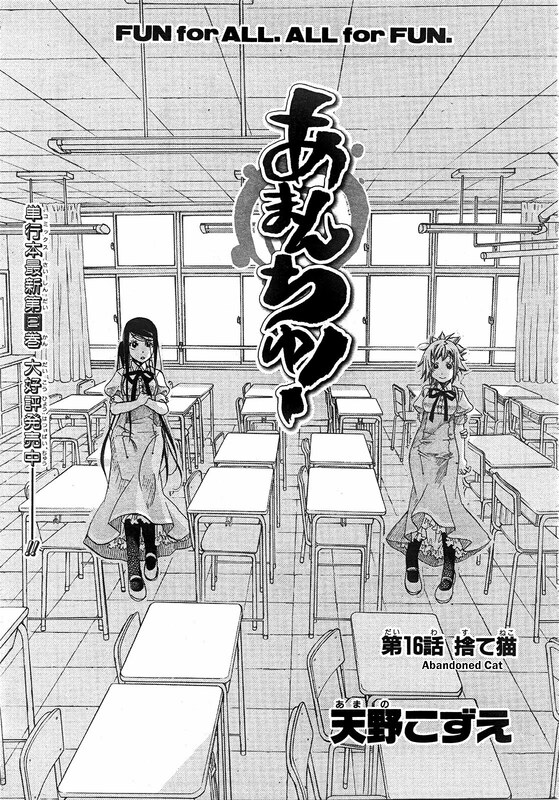 And there it is: Amano-sensei's first cat-centric Amanchu-chapter! Hmm... isn't that kitty a bit young to be a bride? It still has a way before it's grown up. That second to last page has some amazing expressions. Thanks for the hard work! And the Maa to the cat trio is there, now only a Hime remains. > also Saw 2 copies of Undine Magazine featuring Alice in the supermarket magazine rack. You do a very good work ! Thanks, for your hard work mate!! That cat is sooo cute! Thanks for the hard work! After this chapter I'm really starting to have my doubts about this series. Amano-sensei should let her characters finally explore the sea... or she could bring the relationship between Futaba and Hikari to the level of the first volume and then take it from there. I'm all for slice of life series, but this is starting to become a bit... boring. Love the art, and thanks a bunch for the t/l, but like Motormind, I thought more was brewing between Pikari and Dotty, and it was very sweet. Pikari's ties to the sea, and Dotty's growing confidence seemed like important parts of the plot. 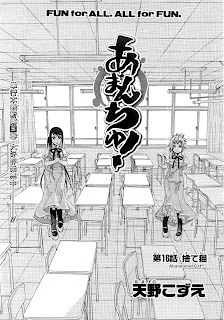 I'm hoping the story is meandering so that Amano can place the cliffhangers in the last chapter of the tankoubon, and that this sort of development is really a pleasant place-holder rather than an indication of the direction and purpose of the story. Hey, guess what? I have been to Ito today. I actually saw that big "Ocean Bazaar" building, where the gang hangs out in chapters 7 and 12. I also wanted to go to that "Lovely" statue, but the pier leading there was locked down. Bummer. Ah yeah, the pier was locked when I went too(it closes way too early! ), it's a very charming town. You have a very good blog that the main thing a lot of interesting and useful!hope u go for this website to increase visitor. BTW keep posting!! !